Who on earth will choose to wear filthy-looking clothes? We are what we wear and being neat entails donning clothes that are well taken care of. Doing the laundry is tricky because one wrong move could turn your white clothes into a splash of rainbow colors and no, it's not always the desired effect; for the most part, it could totally turn into a laundry disaster. Not to mention putting the wrong fabric material in the washing machine or spilling too much detergent and bleach would be the horror of all horrors! I know most of us might have this certain difficulty in doing the laundry (count me in). We might have busy schedules at school or work, or we simply don't want to do the chore. Thank heavens for laundry shops! As for me, a student who practically lives in a dormitory that doesn't allow doing the laundry, this is the best solution evah! Haha! Also, I have the tendency to be obsessive compulsive on things that's why I only want the best care for my clothes. The interior is really pretty! 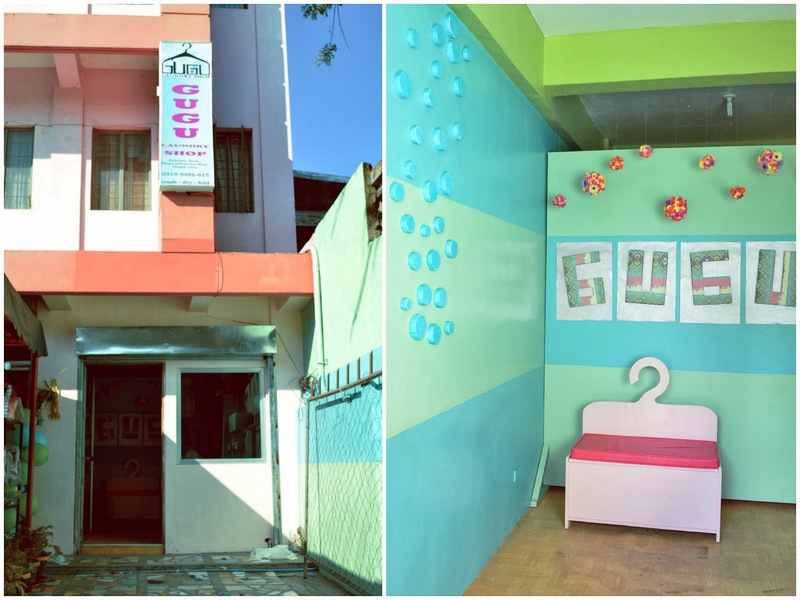 I instantly fell in love with the place because of the pastel-colored walls and the fresh vibe it gives. Customers like me would definitely feel at home and comfy because of the very welcoming ambiance of the shop. 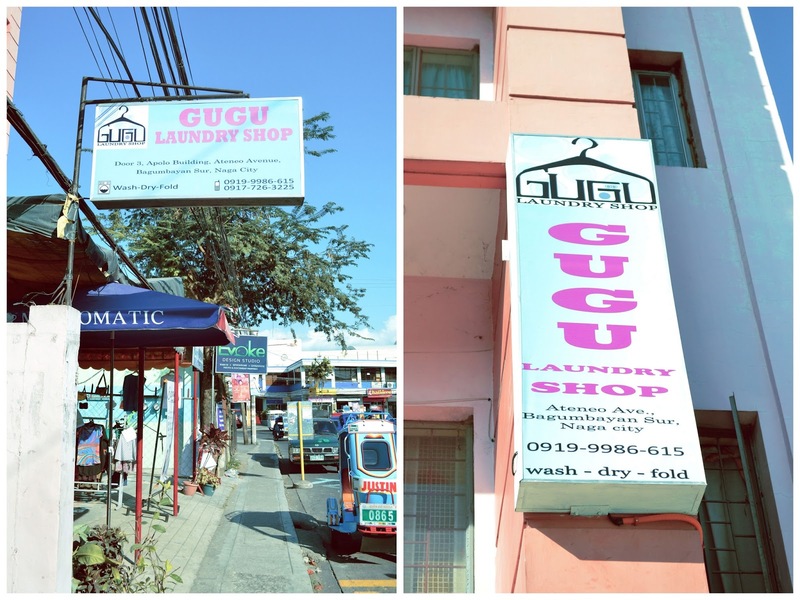 There are a lot of other laundry shops out there, but why did I choose Gugu? Because it offers FREE PICK-UP AND DELIVERY along Ateneo Avenue, Bagumbayan Sur and Filoville Calauag. Hassle-free indeed! Just contact Ate Fritzie, the owner of the shop, who is so kind and accommodating via these numbers: 0919-9986-615 & 0917-7263-225 or you can just drop off your clothes at their shop located in Apolo Bldg., Ateneo Avenue, Bagumbayan Sur, Naga City (in front of Naga Parochial School). great blog... i really like the interiors and packing done so neatly.. and you look so cute .. Cute place! And very affordable pa ung price. Must try this out sometime. i think your shoes is cute dear !